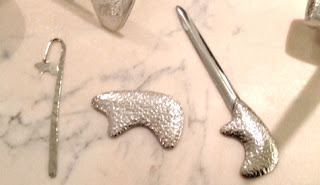 The Golden Bear of Vail is a main staple of visiting this amazing ski destination. 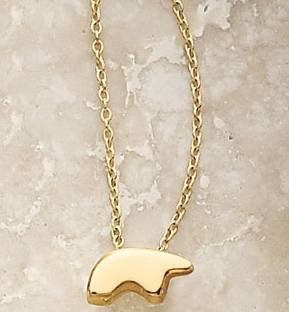 The little gold bear is the quintessential Vail purchase...its simplicity is perfect and is the little pop you need to your ski outfit! Whenever I get up to the mountains, I put little baby gold bear on and it makes me feel all cozy and snuggly...just what the Winter commands of us. I recently popped in the store in Vail to check out their new stuff. 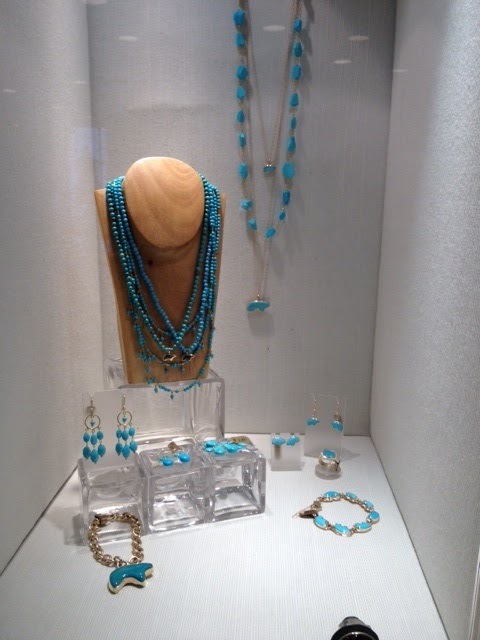 Their turquoise pieces are stunning (see below). More amazing is that they have ventured into the world of home goods. From decanters to desk accessories, their items are the perfect accent for a mountain home. How cute are these desk accessories!